Paul Weller debuts an all-new song from SONIK KICKS at Rollingstone.com. Paul Weller is one of Britain’s most prolific rockers, with a rich discography spanning 11 solo discs, six records with Style Council and six albums with the seminal mod punk band the Jam. 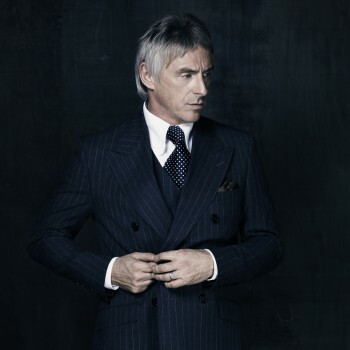 Weller’s latest album, the eclectic and experimental Sonik Kicks, will hit stores in the United States on March 27th. You can stream a preview of “That Dangerous Age,” a highlight from the album, now. Rolling Stone recently caught up with the dapper songwriter to chat about the new record, his plans to play some special shows in New York and his refusal to consider offers to bring back the Jam for reunion shows. A few of the songs on your new album, Sonik Kicks, have this sort of pulsing krautrock groove. How did you get interested in that sort of sound? I don’t know, really. I mean, it’s just another influence amongst many. But I guess it sort of stems from the from the Neu! records. And mainly from them I think more than anything else really. In one of my previous records, a record called 22 Dreams, one critic said of one of the tracks on the album sounded very much like Neu!, which I’d never ever heard before in my life. So I was curious, so I went out and bought the records and I liked it a lot so that was from that, really. You also worked Sean O’Hagan of the High Llamas on string arrangements for a few of the new songs. How did you get hooked up with him? Sonik Kicks is available now for pre-order as a deluxe edition, CD, 180g vinyl plus an exclusive t-shirt at the Yep Roc Store.